Designed to take a 1400mm wide roll of rubber containing 880 metres of 1mm thick uncured rubber/fabric laminate and to slit it into strips with a minimum width of 15mm. 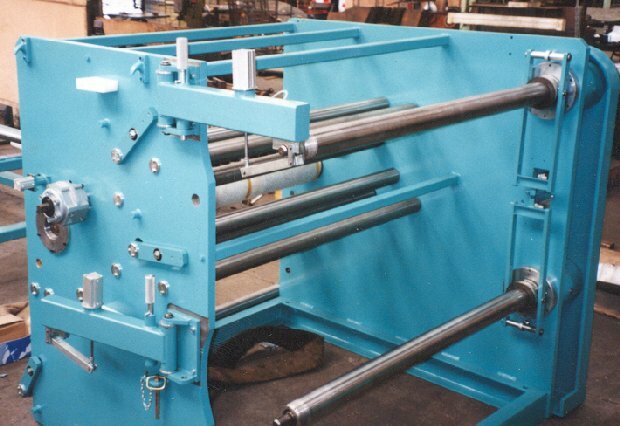 Rewind tension is monitored by load-cells on intermediate rollers and varied as a function of rewound diameter (measured by laser distance sensors) by changing the amount of slip the rewind spools have relative to the rewind shafts. 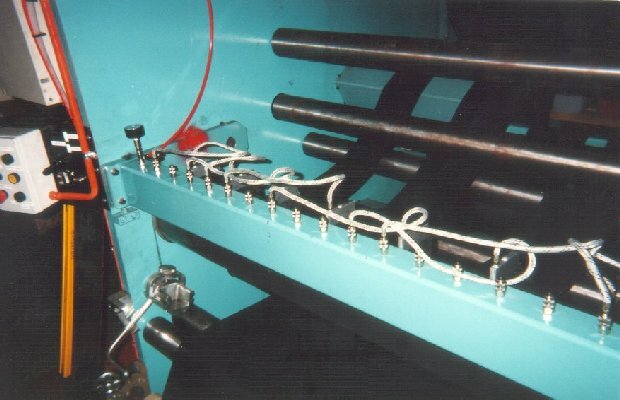 Let-off tension is varied according to fabric tension as it enters the machine. 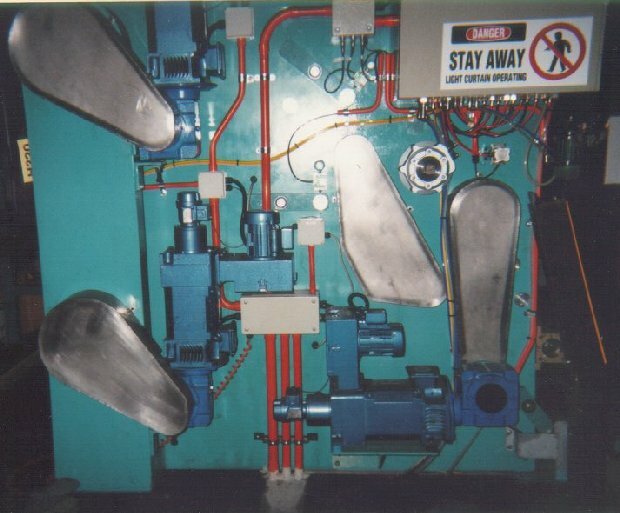 Tension is controlled by changing the air pressure on a pnuematic brake. The slitter/rewinder is driven by three 2.2kW DC motors with speed reduction by gearbox, then by toothed rubber belt drive. 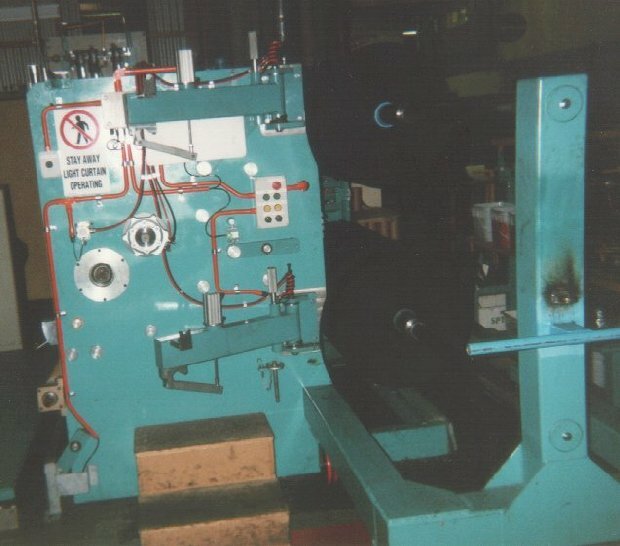 The machine is capable of slitting/rewinding at a maximum speed of 60m/min.